'The 21st Century Spice Trade: A Guide to the Cross-Border E-Commerce Opportunity' report highlights that online retailers are increasing their sales by 10-15% on average, simply by extending their offering to international customers. 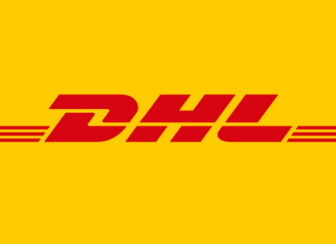 DHL Express, the world's leading international express services provider, has published a report revealing that cross-border e-commerce retail volumes are predicted to increase at an annual average rate of 25% between 2015 and 2020 (from USD 300 Billion to USD 900 Billion), double the pace of domestic e-commerce growth. 'The 21st Century Spice Trade: A Guide to the Cross-Border E-Commerce Opportunity' report highlights that online retailers are increasing their sales by 10-15% on average, simply by extending their offering to international customers. The report also notes that online retailers and manufacturers experience an added boost of growing 1.6 times faster than other players by offering premium shipping options. 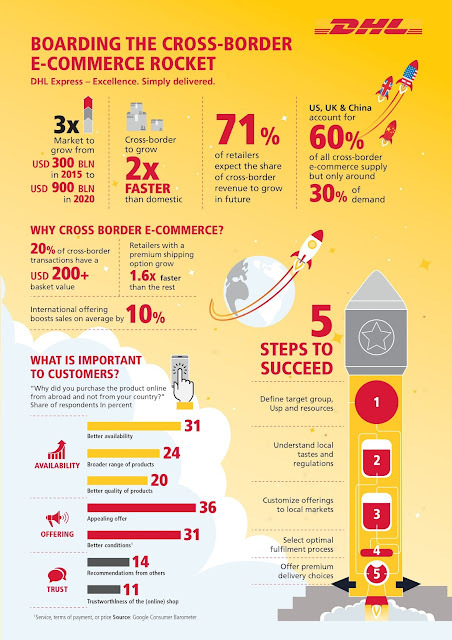 The research, conducted by DHL Express, casts a light on the evolving face of e-commerce and looks into detail at the markets and products that offer the highest growth potential, the motivations and preferences of customers making international online purchases as well as the success factors for online retailers that wish to expand overseas. In Malaysia, the e-commerce ecosystem is ripe for Malaysian retailers and manufacturers to take their business to the international stage. Commenting on this, Christopher Ong, Managing Director, DHL Express Malaysia and Brunei said, "97% of business establishments in Malaysia are small and medium enterprises (SMEs) and they are responsible for nearly 18% of the nation's exports. According to the Ministry of International Trade and Industry, Malaysia's e-commerce industry is booming and is expected to grow at a rate of nearly 20% by 2020. The opportunity to 'go global' and 'go premium' is there for retailers in all markets, especially in Malaysia." The report found that while customers in many markets are becoming more discerning and open to shopping from overseas online retailers, they are wary of the time it may take for it to arrive. The concerns of customers are echoed by e-tailers who admitted that they find it a challenge to offer cross-border shipping options because of high shipping costs (74%) and seemingly complex logistics (67%). However, most e-tailers said that speed trumps price as 37% respondents' ranked speed as the most important logistics need. Hence, local e-tailers need to look into implementing premium, time-definite shipping options, that offer the fastest delivery time possible and a convenient returns solution. While there may be a surcharge, consumers will be willing to pay for a premium service that ensures their products are delivered to them safely and on-time, with a transparent tracking system. "Having a strong logistics partner can offer a competitive edge for local e-commerce retailers looking to expand across borders. Shipping cross-border is much easier than many retailers believe. Our global door-to-door time definite network is perfectly positioned to support any retailer that is developing a premium service offering or simply looking for a way of reaching new overseas markets directly without investing resources in warehousing or distribution," added Ong.